A significant part of the ammunition has been dispersed to other bases and warehouses. The emergency incident at the rocket and artillery arms depot in Balakliya, Kharkiv Region will not cause any significant damage to the country's defence, Defence Minister Stepan Poltorak said on 23 March. "These explosions have not caused any significant damage to the country's defence capability," the minister told a briefing. 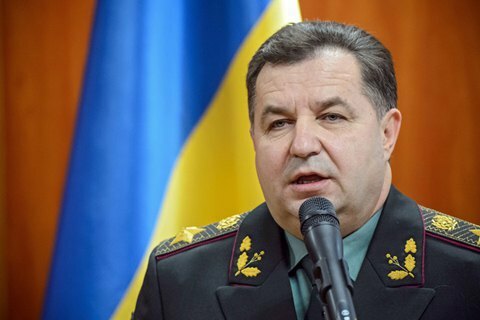 Poltorak noted that a significant part of the ammunition after the beginning of the antiterrorist operation was distributed among other bases and depots, and moved to the antiterrorist operation (ATO) zone. The Armed Forces in the ATO zone have enough ammunition and weapons, he added. The fire at the Balakliya depot has not been localized yet and continues to rage on one-third of the warehouse area. The defence minister said that according to one of the versions, the fire was triggered by an explosive device dropped from a drone.